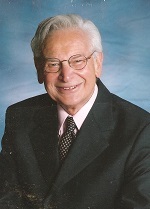 Norman N. Robbins, 99, of West Bloomfield, Michigan and Boca Raton, Florida, died after sunset on 24 January 2019. The Funeral was held at IRA KAUFMAN CHAPEL on Sunday, 27 January 2019 at 10:00 AM . Rabbi Harold Loss and Hazzan Daniel Gross officiated.